A new study on roadway de-icing in the Adirondacks describes an antiquated, ineffective, expensive, and environmentally damaging system in need of revision. Commissioned by the non-partisan political action committee AdkAction.org, the science was compiled by Daniel L. Kelting, Executive Director of the Adirondack Watershed Institute (AWI) at Paul Smith’s College, and Corey L. Laxson, Research Associate. 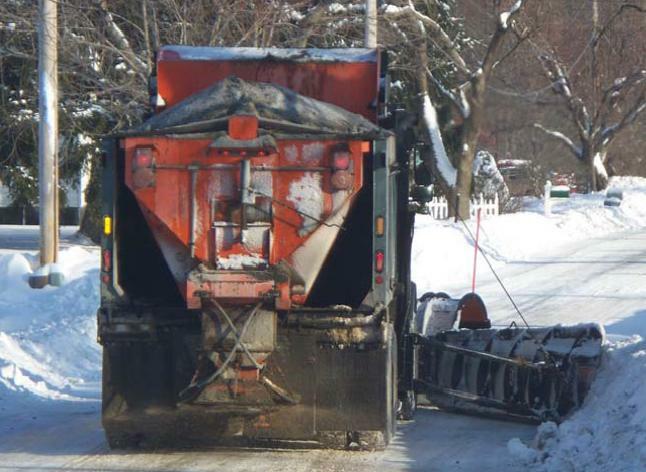 The findings are available online [pdf] and are being distributed to the New York State Department of Transportation and local governments responsible for salting Adirondack roadways. The report argues that “the use of best management practices can reduce the negative impacts of road salt on the environment, while simultaneously improving road safety and saving money.” A number of studies cited in the report have documented road salt’s negative effects on forest and aquatic environments, drinking water, vehicles, safety, and transportation infrastructure. 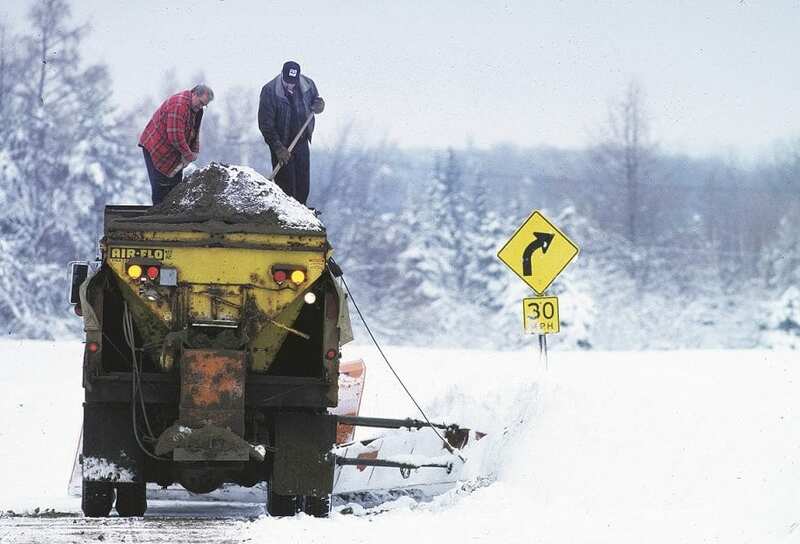 The study found that the misuse of road salt is favoring invasive species like zebra mussels and milfoil and having negative effects on human and animal health. The study also reports that chloride levels (a major component of road salt) in Adirondack lakes far from roadways are under 1 part per million (ppm), but at lakes near roadways chloride levels are considerablly higher. Cascade Lake, with its close proximity to Route 86, a heavily treated highway, was highest at 51 ppm; Lake Colby, 46 ppm; Paradox Lake, 14 ppm; Blue Mountain, 13 ppm; Chazy 13 ppm; Lower St Regis, 13 ppm; Chateauguay, 11 ppm; Schroon, 11 ppm; and Middle Saranac, 6 ppm. Road salt has increased chloride levels in lakes near salted roads in the Adirondack Park, it kills trees and plants, and impacts fish, wildlife and human health, but there are safety concerns as well. Road salt draws deer to roadsides where they become a danger to drivers, and create standing puddles of slush and water that are worse for traction than hard-packed snow. Drivers, especially those unfamiliar with local conditions, may tend to drive at unsafe speeds on what appear to be clear roads, only to discover more deadly slushy areas, snow covered patches, or shaded areas covered with ice. This latest study, which follows a report by the Adirondack Council that drew many of the same conclusions last year [pdf], also found that New York State is one of the least progressive states in adopting alternatives to road salt. Anti-icing measures (preventing snow and ice from bonding to roadways) can reduce costs by more than 50 percent the study found compared to traditional methods of spreading chemicals after snow and ice have accumulated. Fifty percent of vehicle corrosion can be attributed to the regular use of road de-icing salts, according to the study’s authors, annually costing the vehicle owners approximately $11.7 billion nationwide. The annual cost of corrosion damage on automobile parts, highway components, steel reinforcement bars, and concrete has been estimated to be as high as $26 billion nationwide the report found. * Develop a map of sensitive areas and use it to tailor application rates, methods and de-icer types to minimize environmental impacts. * Invest in a networked Road Weather Information System (RWIS) similar to systems in use around the country. These systems can pay for themselves in one winter with the savings from lower application costs. * Proactively use anti-icing techniques to prevent snow and ice from bonding to road surfaces to achieve better road conditions, use up to 50% fewer chemicals and control costs and damage. * Employ smart application techniques. Conventional rotary spreaders throw over 30% of de-icer outside the planned treatment area. Use a “windrowing” technique to concentrate a 4 to 8-foot wide strip down the centerline of lesser-traveled roads. Use “zero-velocity” spreaders to place de-icer on the road surface with little bouncing and waste. * Pre-wet the de-icer to create brine delivered in a spray, resulting in faster melting and de-icer savings. * Improve documentation and training to insure that road salt, when used, is applied at correct temperatures and alternative techniques are applied at low temperatures and around environmentally sensitive areas. 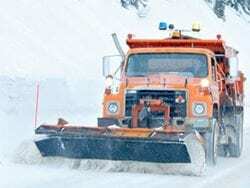 * Other recommendations include giving the de-icer time to work before re-plowing, maintaining and calibrating equipment properly, educating the public on the new policies and establishing test areas to monitor and evaluate implementation. How Much Is Road Salt Costing Us?